THELMA HOUSTON | Love Productions Inc.
After decades captivating audiences around the world with her signature blend of high-energy dance classics and soulful ballads, Thelma wanted to share a chronicle of her remarkable career with fans, and realized the best way would be through the songs we’ve all fallen in love with—and to—in a lifetime lived in music. The result is a thrilling new band show featuring a non-stop parade of Motown hits with tributes to her gospel roots, the iconic Jimmy Webb (who wrote and produced her debut album), and her adventures and near-misses in Hollywood, culminating in the worldwide success of her all-time disco anthem “Don’t Leave Me This Way.” Backed up by longtime friends and studio legends, Thelma leads a celebration that will take you back, move your feet and touch your heart. 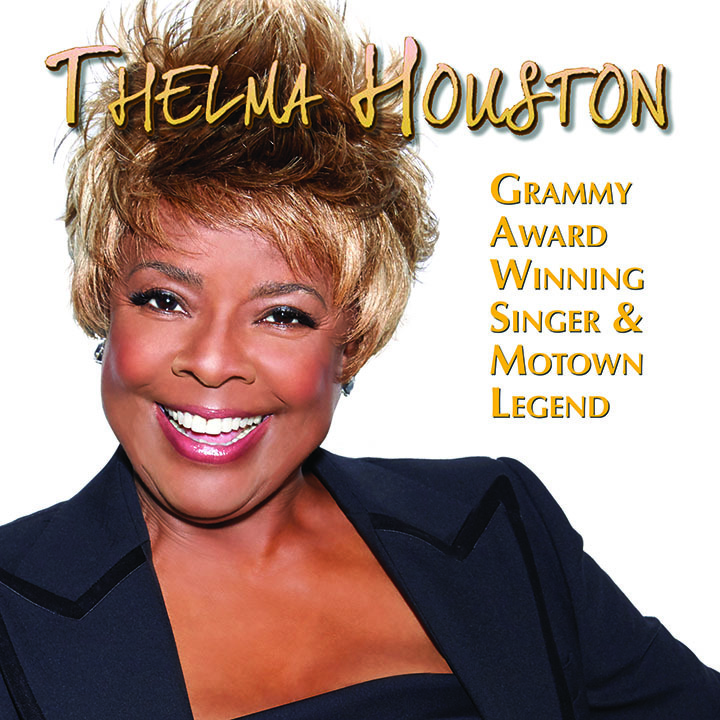 Thelma has continued to dazzle audiences worldwide, including appearing before the Pope as part of The Sisters of Glory, performing at inaugural events for President Obama, and electrifying millions of viewers on such programs as “American Idol,” “The View,” “America’s Got Talent,” and many more. She is known for her dedication to humanitarian causes, including tireless efforts in the battle against AIDS and deep commitments to the Human Rights Campaign (HRC) and the Beverly Hills/Hollywood branch of the NAACP. In 2003, the City of West Hollywood named January 29th “Thelma Houston Day” in recognition of her many charitable activities.